Researchers at the University of Toronto have made a breakthrough that could lead to cheaper and more flexible solar cells that could be used by millions of people around the world. The team developed nanoparticles called colloidal quantum dots that don’t lose their electrons when exposed to air. The new material achieves solar power conversion efficiency of up to eight percent and can be painted or printed on surfaces such as roofing shingles. The breakthrough also ensures better sensors, infrared lasers, infrared light emitting diodes and satellites. The colloidal quantum dots are able to absorb so much sunlight because the researchers developed a material that keeps the electron-rich n-type semiconductor from turning into the electron-poor p-type semiconductor when exposed to the air. 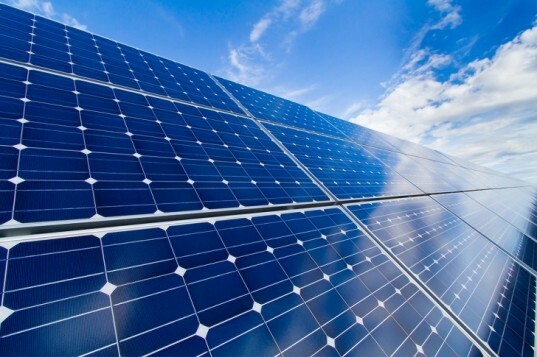 The n-type material makes the solar cells more efficient. “This is a material innovation, that’s the first part, and with this new material we can build new device structures. 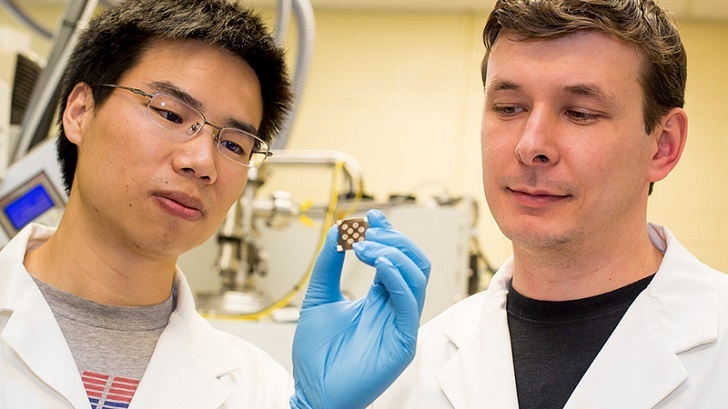 Iodide is almost a perfect ligand for these quantum solar cells with both high efficiency and air stability—no one has shown that before,” said post-doctoral researcher Zhijun Ning, who led the research team along with Professor Ted Sargent. Their findings were recently published in the scientific journal Nature Materials. Could homeowners one day simply paint cheap solar cells onto their roof instead of installing expensive and complex solar panel arrays? That reality might not be too far off in the future when this research is eventually commercially scaled up. Researchers at the University of Toronto have made a breakthrough that could lead to cheaper and more flexible solar cells being easily accessible to millions around the world. The new material achieves solar power conversion efficiency up to eight percent and can be painted or printed on surfaces such as roofing shingles as well as make better sensors, infrared lasers, infrared light emitting diodes and satellites.